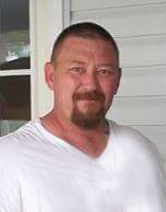 Travis T. Karns, 47, of Odon, Indiana, passed away on Sunday, September 30, 2018 at Loogootee, Indiana. He was born on September 4, 1971 in Oakland City, Indiana, the son of Lester Lee and Karen (Byrer) Karns. He was a 1989 graduate of North Daviess High School. He began working at a young age with his Father in the woods as a Logger. He then went on to work for the railroad and continued his heavy equipment operating career that then led him to the Union, the job which he so loved. Travis worked as a Heavy Equipment Operator and was a member of the International Union of Operating Engineers Local 841. He was a great dad, grandpa, son, brother and uncle. He will be greatly missed by his family and everyone who had the joy of knowing him. His sense of humor was unmatched and his quick wit could make you so mad or laugh until you were in tears. He had a laugh that was one of a kind and contagious. In his free time, he enjoyed riding motorcycles and dirtbikes, playing pool, watching sports, driving fast cars, and spending time with his family. He was at his happiest when he was hosting a family cookout, get together or holiday at his home. He was very protective of his loved ones and took great pride in his family. He adored his children, granddaughter and nieces. Survivors include: two sons, Brandon and Blake Karns; two daughters, Brittany and Brooke Karns, all of Odon; granddaughter, Madilyn Karns of Princeton; his mother, Karen Karns of Odon; three sisters, Debbie Loyd of Washington, Dee Karns and Lesli (Bobby) Boardman, both of Odon; nieces, Macie (Ethen) Wagler and McKenzie Loyd both of Washington. Travis was preceded in death by: his father, Lester Karns; nephew, Trent Loyd; grandparents, Joe and Alice Byrer, Lester Van Karns, Virginia Clark and Hershel Hayes. Funeral services are scheduled for 11:00 AM on Saturday, October 6, 2018 at Meng Family Funeral Home in Odon with Pastor Steve Sims officiating. Travis will be laid to rest in Kilgore Cemetery in Raglesville. Family and friends may call from 4:00 PM until 8:00 PM on Friday, October 5 and from 9:00 AM until the time of service at 11:00 AM on Saturday at the funeral home.